You can add others to teams which gives them editing access to specific Yapps. How do I access the invite like someone received to send to them directly? Sometimes an invite email may get lost in someone's junk mail. 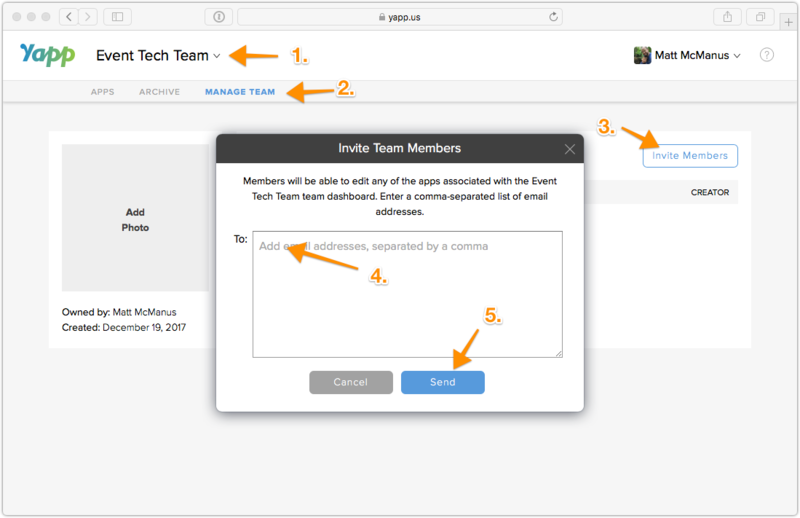 There is an easy way to get their invite link that you can give to them directly. What happens after someone accepts their invite? When members accept, the name associated with their Yapp account will show up. If they haven't yet accepted, it will show their email in gray with 'pending' after. Once members have joined your team, they'll be able to access the apps that you store within that Team account even if they do not have their own paid account. 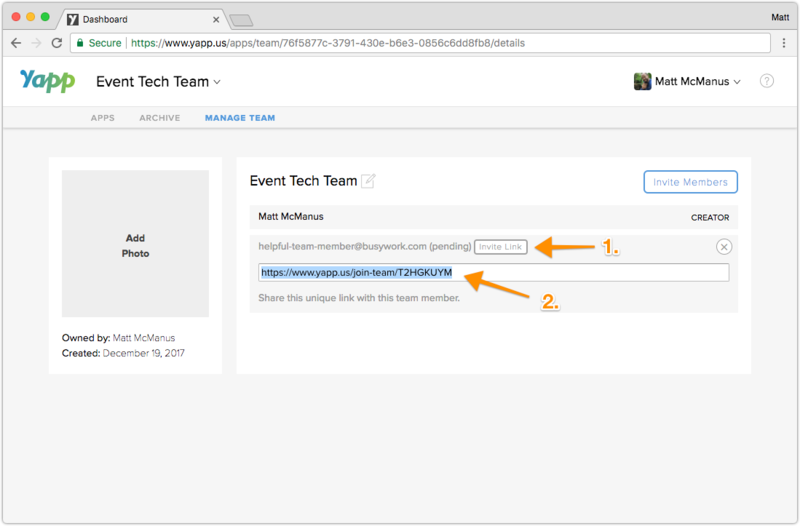 If you've already started an app in your account that you'd like to share with a team, you can easily move it from one dashboard to another. Note: You will need to be subscribed to a Team plan in order to share access to an activated app.